OMGosh, y’all. How many times have you worked towards perfection in all that you do? How many times have you fallen short? How many times have you tried again, with the idea, the hope, that this time will be different – only to miss the mark? 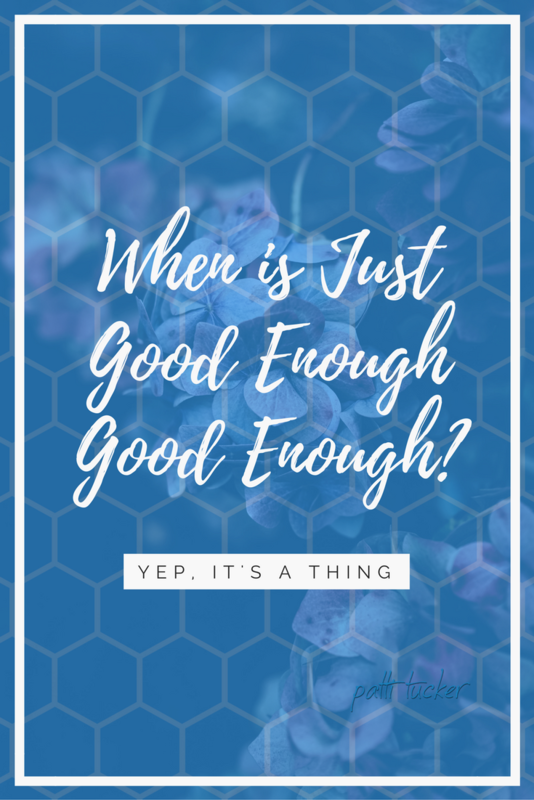 Maybe – just maybe – if you wanna save your sanity -it’s time to consider that just good enough is good enough. 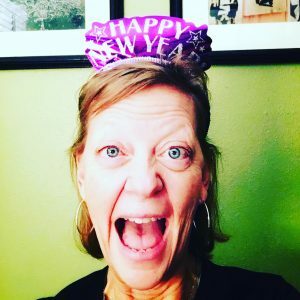 When you’re learning a new skill – maybe it’s baking or blogging or building sites – you will not come close to perfection with your many many many beginning attempts, as you figure thangs out. That wisdom, that fact, Jack, applies across all areas in your life. No one is born an expert. You have to put in the time, the hours, the seemingly endless road trip of pit stops and course corrections in order to arrive where you’re confident that you know what you’re doing. In the meantime, get your stuff out into the arena of your dreams and test its mettle. Do just good enough at first. Is it gaining traction, but not the response you desire? Make it MORE valuable to your market. Maybe your next try is a hair above just good enough, but is still lacking, failing even. Keep going. Keep tinkering, testing, defiantly moving forward in the face of naysayers. Allowing your just good enough efforts to live and be seen in the space you want to occupy as an expert, will force you to grow in ways you couldn’t, WOULDN’T, if you refused to release what you know right now. There might even be an uncomfortable digestive moment. 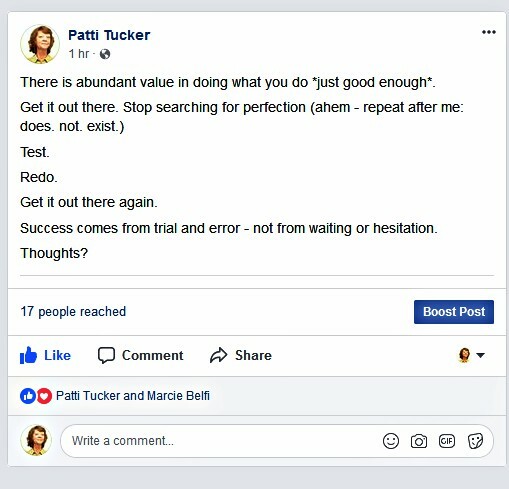 The abundant value in just good enough is gonna surprise you, my friends. Offer your just good enough and then tell me what happened. I’ll be here waiting on ya. 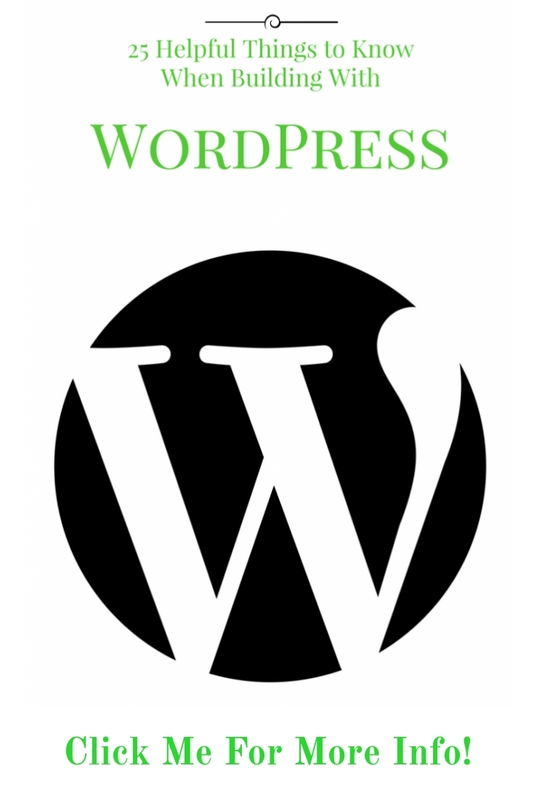 Speaking of being a perfectionist – is THAT the reason you haven’t built your site yet? Well, STOP IT! This PDF is FILLED with what you need to get ‘er done. Go. BUILD. Such good advice! I have learned over the years to not worry so much about all the things I didn’t accomplish in the course of a day, but rather, to reflect back on how I did use the time. There will always be tasks left undone, but the goal is not to finish a list, but rather to live with purpose in each moment. Your post ties right into that idea. I keep a running list of tasks accomplished (the big thins, not so much if I get to the laundry!). On days when I feel like I’m treading water, I check the list and feel instantly better.